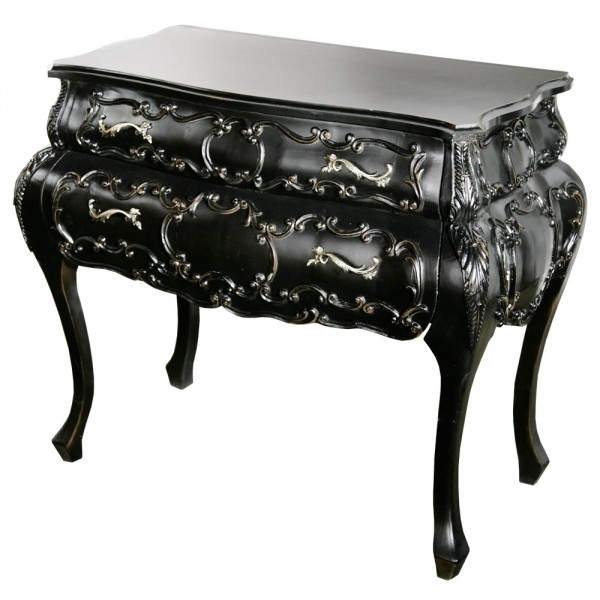 The Black 2 Drawer Bow Fronted Ornate Chest of Drawers is a very stylish, classic looking set of drawers that will be a great place for storing your accessories and household belongings inside. This chest benefits from a semi matt antique black finish, giving it an eye catching appeal. Size is w103 x d51 x h86cm.